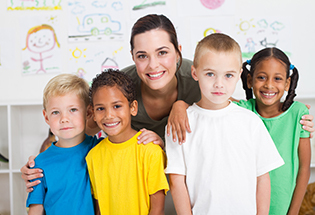 Find carefully screened nannies, sitters, newborn care specialists, and household help. We fully understand there is nothing more important to you than the care your family members receive. 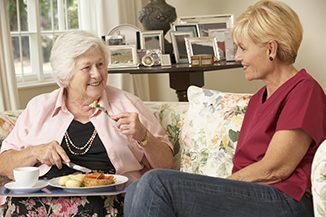 Our professional staff can help you regain a sense of balance in your life by connecting you with qualified and professionally-screened caregivers to meet your specific family needs. We help you find the right nanny for your family. We only present the most qualified, pre-screened candidates for your review. You’ll love the safety and convenience of our pre-screened, reliable sitters who are there when you need them. Our experienced newborn specialists offer much-needed assistance and support with your new baby. Agnes B. was WONDERFUL! She brought books/activities for the kids. She played/interacted with them all day. They learned to knit :-), they played outside in our back yard, they drew pictures, they made lunch together, they made lemonade together. And, Agnes even cleaned up after everything. THANKS! Mary Ann D. was awesome. She really took the time to plan out fun activities for the day, even though my son had his own plans and didn't really want to play any of her games! She was a sport about changing direction and instead doing what he wanted. He had a great day. Angela, Thank you so much for choosing Kimberly R. to be our nanny today. She was terrific. She is obviously very experienced in child care and seems to really enjoy it. My kids had a great day with her. We will certainly request her again! Thank you Kathy for sending Sholanda. You were right we loved her. She is excellent with young children. She was interactive and gentle and connected immediately. We had a great night out! The office was wonderful in helping us coordinate care at the last minute. We called only hours before we needed a babysitter and you all coordinated care with Pat R. within an hour! She far exceeded our expectations for quality child care. She arrived at our home and immediately engaged with the children and made them feel at ease. Ruth N. was great, What a wonderful caregiver! I would request her to watch my baby again. What a pleasure to have her arrive and take over so I could slip out for my meeting. Thank you TLC! We have used TLC for 12 years and have loved every sitter they have sent. We have used several of their sitters for many years including one who has covered date nights and weekend overnights for 11 years. Highly recommend. I still like calling in my sitter requests to Angela but last night at midnight I remembered a date I needed a sitter and tried out the on-line request. I was so surprised to see the confirmation at 9:00 AM in my email with my requested sitter! WOW you guys rock! BTW we love, love Julie! Kemly V. is a bright girl, great personality and very astute! What a gem. I also love how nice it is to have TLC take care of setting everything up. I tried 5 sitters on my list and no one was open –next time I just call TLC. Maria P. is a gift from heaven and our family loves her! She is also an outstanding professional! We really do appreciate having a service like TLC available when we need sitters! Thank you! Thank You! My experience with TLC was excellent in all aspects. Thank you for the great service. Krista A. was great with the children. I am a grandmother and will recommend your organization to my friends. Everything was absolutely perfect with our experience- the office got me set up really quickly with back-up care, and Brooke T. was just fabulous. The kids had so much fun, and I so appreciate the help! Thank you again! Diana G. was a pleasure to have in our home. She took great care of Marco who can be difficult at times. She fed him and played with him. He really enjoyed her company. Would love to be able to hire her again when needed. Our children love having MaryBeth G. as a caregiver. She engages our 5-year-old with activities that he enjoys including reading and puzzles and we feel very confident about leaving our children with her. Having her available as a caregiver helps me be more productive knowing that I can leave for work. This was a first time experience. Elizabeth C. totally removed any stress I would have had during my work day, just knowing she was available to care for the children. Your office staff exceeded my expectations in setting up the sitting assignment. Greg was extremely thorough and helpful and reassuring when answering concerns and questions. Lucy F. was AWESOME!!!! She has a wonderful, creative personality and we really enjoyed having her ..and felt extremely confident leaving child with her. We knew he was in great hands!!! We were nervous about having a sitter we didn't know, especially when he was sick, but it's been a great experience. Morgan J. is a gem and we hope she is available the next time we need a sitter. TLC has proven to be excellent in every way. I was worried about hiring someone to help me with our twins, but I do feel confident now with the choice of sitter TLC has sent. Maria S. is the perfect match for me. She is very professional yet extremely loving and warm with the twins. She is punctual, soft spoken and respectful. Maria is knowledgeable about children and I trust her experience in keeping them safe and in nurturing them. I am very happy with Maria and with your service. Elizabeth S. was amazing. She exceeded our expectations in every way. Great with communication every step of the way. We will use your company again because of her. We are so glad TLC is open in Orlando! Manouska M. was absolutely wonderful. We would recommend her to anyone, and when we need Back-up care in the future, we will ask for her. Michela G. was awesome!! very attentive! I felt so comfortable going to work. I was nervous calling on a service but now I see it is a lifesaver! Having you there as my back-up is the best! Gloria was great. We would love to have her back again. She is very experienced with twins. She's very patient and attentive to their needs. We hope to have her again. By the way, we love the member log-in to do our sitter requests. We love TLC for kids, we started with your babysitting service many years ago, then as my children grew and could stay home alone, we switched to using your pet sitters when we go out of town and now we have a trusted organization to set us up with party helpers! I travel to Miami for business. Having access to quality care is essential. TLC service was beyond exceptional and Madelin P. was amazing. Loved both very much and will recommend and use you again! Thank you! Hi Angela, My little guy has never liked a sitter as much as he LOVED Gina G. So much so that I will probably find some other occasions to use TLC when we probably could have made due without. The ease of the service and quality of the sitter has won me over. Tracy G. far exceeded my expectations (although it was not for child care.) She was on time, pleasant, efficient, and willing to do whatever was necessary. We were hosting a post-funeral reception for a beloved family member, and it was a very sad and stressful time for us. Tracy took the burden of the reception off me. She looked professional and was very polite and helpful to everyone. She cleaned up beautifully and wrapped the leftover food for us. She is truly a credit to your organization. You guys are awesome as always. There at the last minute to send me a reliable, caring sitter. Carmen A. was perfect. I will ask for her specifically if I need someone again. Thank you so much. I was very hesitant to have someone I didn't know watch my son, but Chynna D. was extremely comforting. She was warm, attentive and got along well with my son. I will ask for her the next time I need this service. Everything was perfect! The office staff responded very quickly, and then Denise A. contacted us promptly as well. She was a wonderful sitter, and I was never worried about our son while we were away. Thank you for your help. Kathy, thank you for all the time you spent talking to me. I was so nervous- but you were spot on with Pam. She is the BEST! My family loves her. She is an exemplary caregiver. Safe, responsible, compassionate care for those you love. Whether you need to take care of business or take a break, we are here to help. For over 30 years, TLC has been the leader in household staffing and personal care services. As a family-owned business, it’s our mission to help families and organizations find trusted solutions for their specific family care needs. Our extensive evaluation process ensures our exclusive network of caregivers meet or exceed our high-level of excellence. When hectic schedules or last-minute obligations seem overwhelming, TLC is here to help lighten your load as quickly as possible. At TLC, we take the time to determine your priorities in order to find the perfect caregiver for your family. TLC for Kids is locally owned and operated by sisters Stephanie Graff of St. Louis (left), and Sharon Graff Radell of Miami (right). Both mothers of 2, and former nanny employers, they have dedicated their 30 years in business to helping families secure safe reliable, quality care for their loved ones.